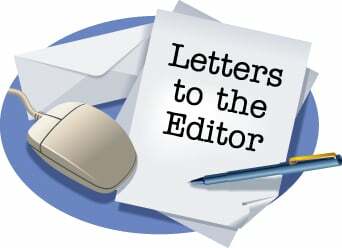 Letter to the editor: Worship is risky! Declaring your faith and attending worship services are risky activities these days, aren't they? But attending worship services in the town of Chickamauga is just downright hazardous! Numerous worshipers, including my family and I, must cross Cove Road (State Highway 341) and its posted speed limit of 25 miles per hour to attend services. These crossings are for the 9 a.m., 10 a.m., and 11 a.m. Sunday morning services and there is a lot of foot traffic around noon when services let out. We must use a crosswalk that drivers ignore. We put up crosswalk signs, then reflecting cones, then flashing caution lights, and now have a crossing guard. We warn our worshipers frequently. But all this seems to have no impact on drivers who are not alert and are moving at a speed well over the posted limit. Many do not stop for crossers in the crosswalk. I, for one, would not like to combine a worship service with my funeral service after having been run over unnecessarily! If you drive in Chickamauga, please be alert and obey the posted speed limits. The lives you save may be those of my in-laws.